Our client worked as a telesales representative for a company in Long Island, New York. 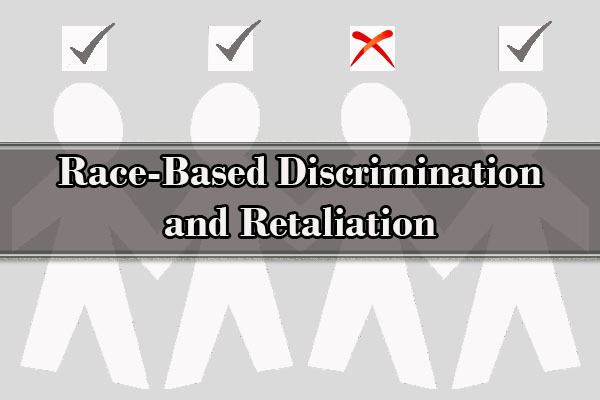 While the company was initially happy with our client’s excellent work product and diligent work ethic, upon learning that he had complained of race-based discrimination and requested a reasonable accommodation, the company immediately started to retaliate against him and set him up for termination. For example, within days of being hired, our client’s supervisor began to call him a “Moulinyan,” an Italian derogatory term for Black people. Additionally, the company assigned our client to work directly next to the only other African-American in the department because “he would be better to train” our client. Also, the supervisor awkwardly asked our client, “Do Black guys go hunting? I bet it would be hard to see you at night while hunting!” Our client immediately complained of race-based discrimination to the Senior VP of the company. However, not only did the Senior VP completely ignore his complaint of discrimination, the company actually began to actively retaliate against him for complaining. Shockingly, after complaining of discrimination, the supervisor completely stopped providing fresh leads to our client. In fact, every lead that was given to our client was a recycled lead that had already been called by earlier sales representatives, significantly reducing the chances of our client’s success. This was clearly pretextual and entirely baseless, as our client was absent only a total of three days, for which he had provided the company with medical documentation to support each one. We filed a detailed charge of discrimination with the EEOC, which led the employer to request private mediation where we successfully settled all of our client’s claims for a substantial amount. If you have any questions, call for employment lawyers NYC free consultation.